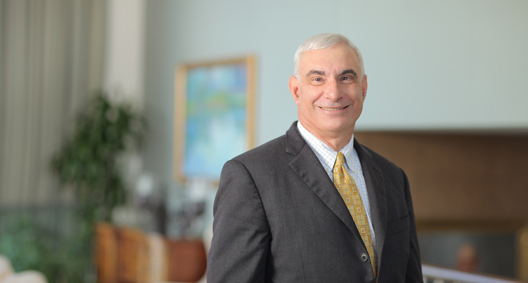 Chris Marraro is a trial lawyer with more than 30 years of experience in complex environmental and tort litigation. He has litigated cases under 14 separate federal environmental statutes and tried precedent-setting environmental cases, including the defense of famed multimedia civil environmental enforcement actions, landmark environmental citizen suit cases and novel cost recovery actions. He also has an active practice in natural resource litigation involving the siting of large-scale energy projects and in biotechnology litigation. Chris is creative in litigation and crosses barriers on a personal level during complex cases, developing trusting relationships with his adversaries, a strategy which he has found to move cases through the process most efficiently. Chris is on the Environmental Law Editorial Board for Law360. Led the defense for the company in one of the largest multimedia civil enforcement cases ever tried to a federal jury. The matter involved four separate civil and administrative litigation matters. United States et al. v. Marine Shale Processors, Inc. et al. Lead trial counsel for W.R. Grace & Co. in an RCRA citizen suit, CERCLA and tort litigation, which for the first time imposed a remedy requiring the excavation of an entire site as injunctive relief in an RCRA citizen suit case. Interfaith Community Organization et al. v. Honeywell International Inc. et al. Lead counsel for major petroleum company in a cost recovery case under CERCLA and RCRA concerning a former refinery. Chevron Environmental Management Company et al. v. Indian Refining Company et al. Counsel for petroleum companies seeking to recover environmental costs against the United States related to World War II and Korean Conflict contracts. Counsel for a major manufacturer in one of the most significant waterway superfund proceedings involving the Lower Passaic River. Counsel to several New England entities in a major EPA Clean Water Act enforcement action regarding restoration of more than 100 acres of disputed wetlands and civil penalty demand.